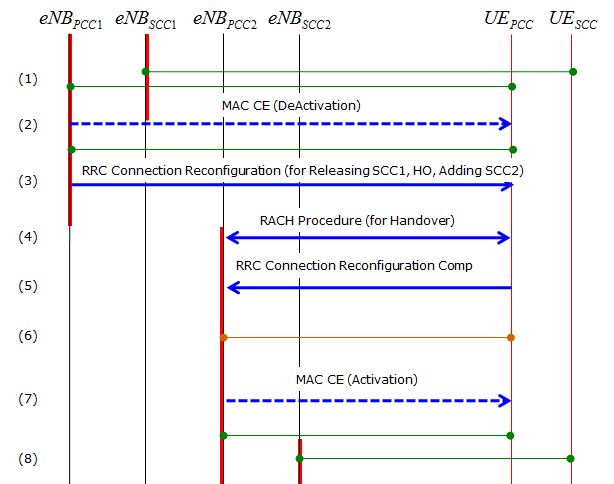 There can be many different scenario (combination) of Handover with Carrier Aggregation. 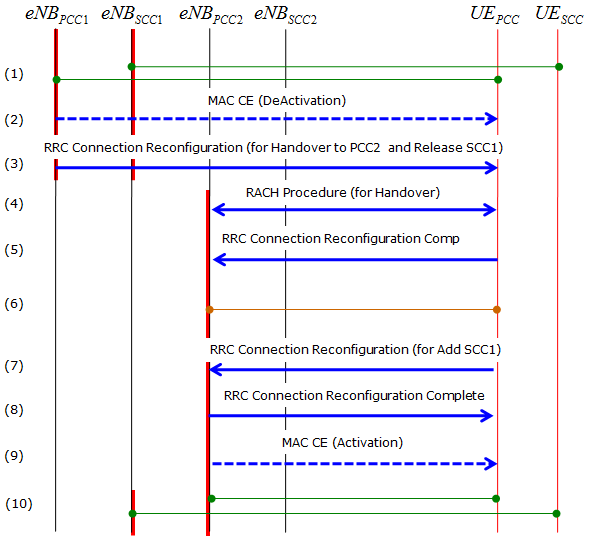 I will start with the simplest case, but recently I am seeing various requirement to reduce the number of steps for Handover (e.g, PCC handover and adding SCC in a single RRC Connection Reconfiguration etc). Probably one of the simplest case of scenario we can think of would be as follows (By 'the simplest case', I mean it is the simplest in logic (the easiest to understand/implement), it didn't mean that it is the simplest in terms of the number of protocol sequence. Actually, it requires the longest steps in terms of protocol sequence). As you see here, just PCC has been changed as final result of Handover. 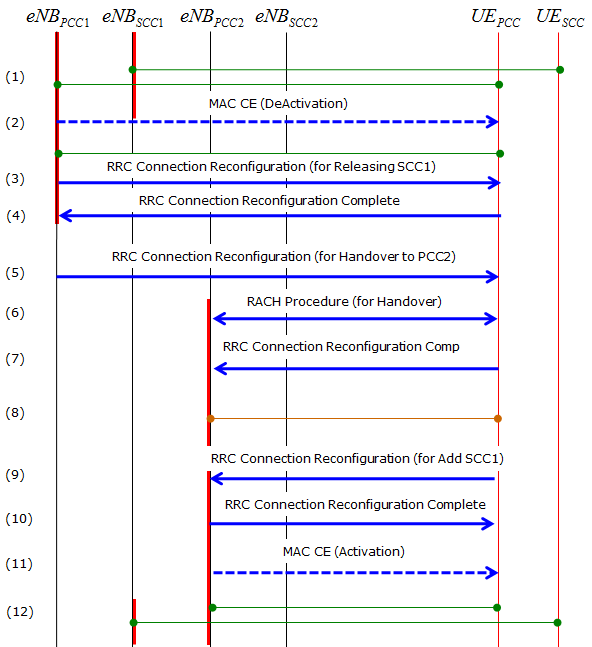 In this scenario, Network remove SCC first before Handover and perform PCC handover and then add SCC again. 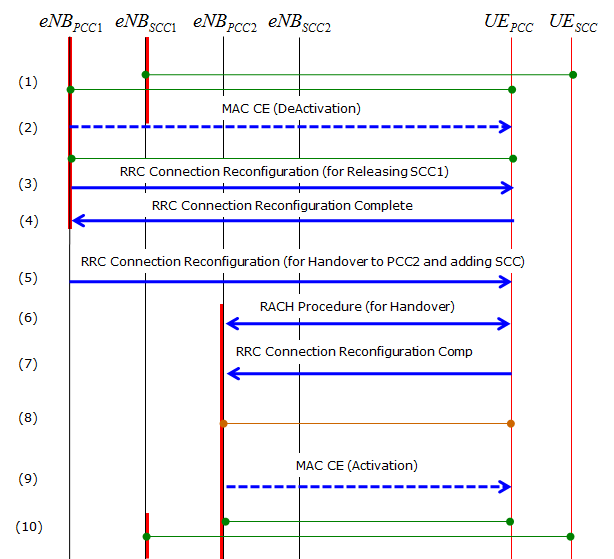 Personally I haven't seen any real implementation for this case and haven't confirmed in 3GPP specification in detail, but just by logical point of view we can think of following scenario as well.